Figueras is a landscape architect and works on park, garden, urban space and landscape projects from her studio in Barcelona. She has been involved in numerous projects with top national and international artists and architects since she began in 1982. 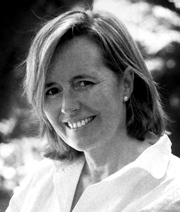 Educated at the universities of Berkeley (California) and Edinburgh, and a member of the Landscape Institute and of the Spanish Association of Landscape Gardeners, Bet Figueras combines her professional projects with her teaching work at the Technical School of Architecture of Barcelona, where she has given classes in Landscape Architecture since 1983. Always open to new trends, her projects always transmit a great versatility. For her, a project is "the reorganization of a place in which new uses and forms are inferred. An ideal of nature is sought through the garden; it is like a reinterpretation of the Garden of Eden". This can be seen, for example, in the Botanical Garden of Barcelona, a project carried out with Carlos Ferrater and Josep Lluís Canosa and which won the City of Barcelona Architecture Award in 1999 and the FAD Outdoor Spaces Award 1999, and the Parque de Cervantes y Rosaleda, in the same city. Other projects worthy of special attention are the private garden of Óscar Tusquets, the project carried out for Bodegas Bilbaínas in Haro, La Rioja, the restaurant El Bulli in Roses, and the hotels La Florida and Omm, in Barcelona. In 2003, together with Miguel Milá, she designed the Robert limit, published by Santa & Cole.